Rosa's is a blend of olive and soybean oil combined with real red wine vinegar and Italian spices. 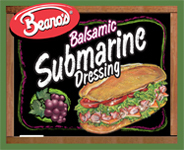 This upscale Submarine dressing is perfect for creating a signature sandwich program. 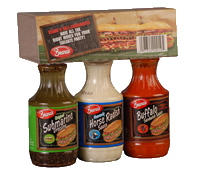 Make focaccia, panini or ciabatta style sandwiches using Rosa's Italian Submarine Dressing. 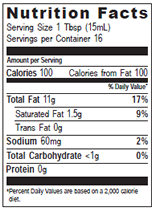 Ingredients: A blend of soy and extra virgin olive oil, red wine vinegar, salt, sugar, and assorted spices.